“Development” is the only word that seems important today. We live in a society that wants to progress, grow and succeed at any cost. We are ready to pay any amount of price for it, but we just need to develop and rapidly. I on the other hand am sceptical about this fast paced development and the notion of being a super power in the next 20 years. Do we need to be one? If we need to what are the costs we are ready to pay? Are they worth it? The debate in my mind is always between development and environment. In my mind environment always wins. A lot of my friends though choose development. With the population, our needs and our wants increasing day by day we need to use our energies in generating employment, infra structure, connectivity through roads and rail lines and so on. To do all this we have repeatedly have to let go of our forests, hills,farms and animals, basically each and everything that constitutes the environment. We have used and abused the environment for generations together. Squeezing out as much as we want, selfishly. We do this with absolutely no thought to consequences. If we are really ready to listen and see, nature has been talking, screaming almost and showing us that this fast paced development is just not going to be sustainable. Cyclones, landslides, floods,earthquakes, our glaciers melting, animals going extinct are all signs of things going terribly wrong. The frequency at which all of this is happening is alarming and we need to take lessons from it. In our almost crazy need for land we have displaced millions of people and forgot about them. Our farmer and tribal population is not just landless but also jobless. They come to the cities for employment and we have nothing for them. We don’t have jobs for our engineers today, where are we going to accommodate them. When I raise the flag of environment and talk about it, my for-development friends who are mostly in the majority tell me that Im just being irrational. I am really not against development. All I am saying is that India needs to find the middle path. Development needs to be holistic and sustainable. We need to raise and empower our poor, our farmers, our tribal population and make them play an important part in the making of our nation. We need to be experimental, inventive and think of unconventional but effective ways to use the environment we live in to our advantage and not abuse it beyond repair. Why can’t nature and development go hand-in-hand? Why do we have to choose? 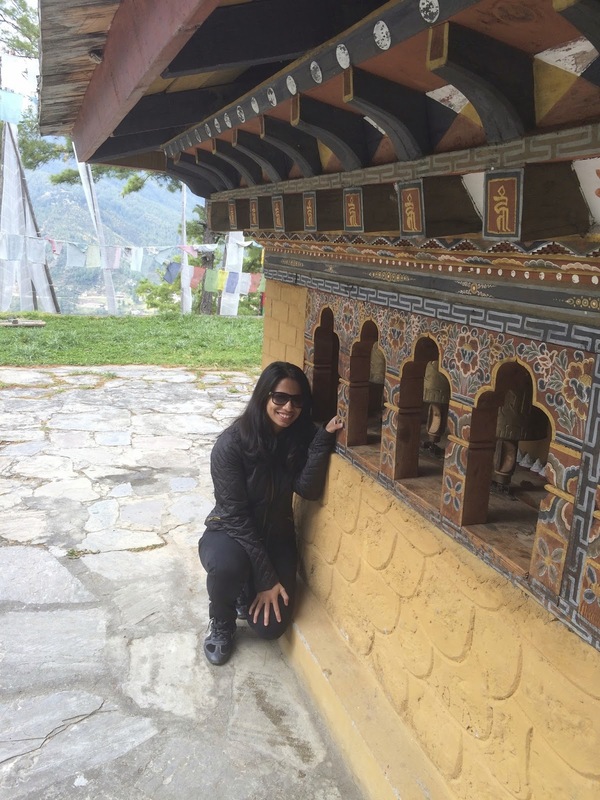 Bhutan made me believe that it is truly possible to take a middle-path. Now I just have a much stronger case for my argument. The first picture I took after entering Bhutan! Ironically enough Bhutan lies right between India and China, countries that are both hoping to be super powers one day. 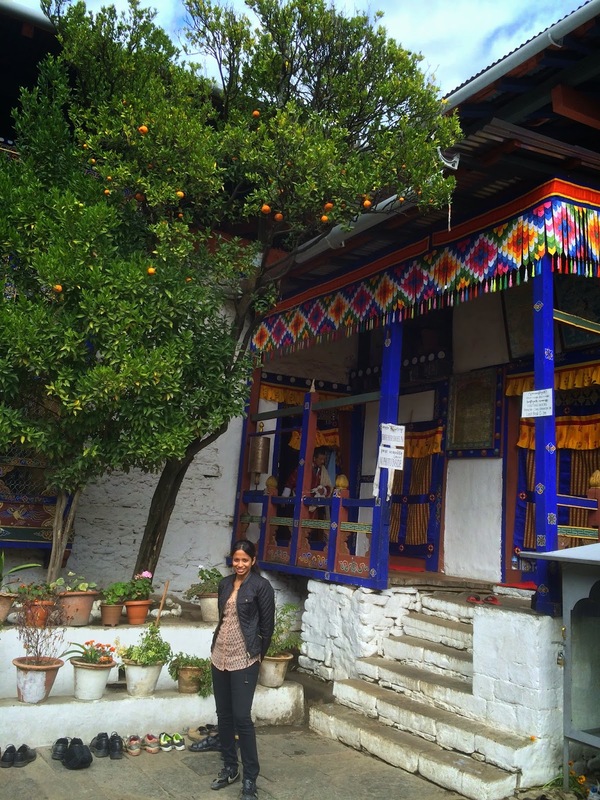 With neighbours like this Bhutan could easily have got carried away and inspired to follow their path. Though in 1988 the Bhutanese king did the opposite. 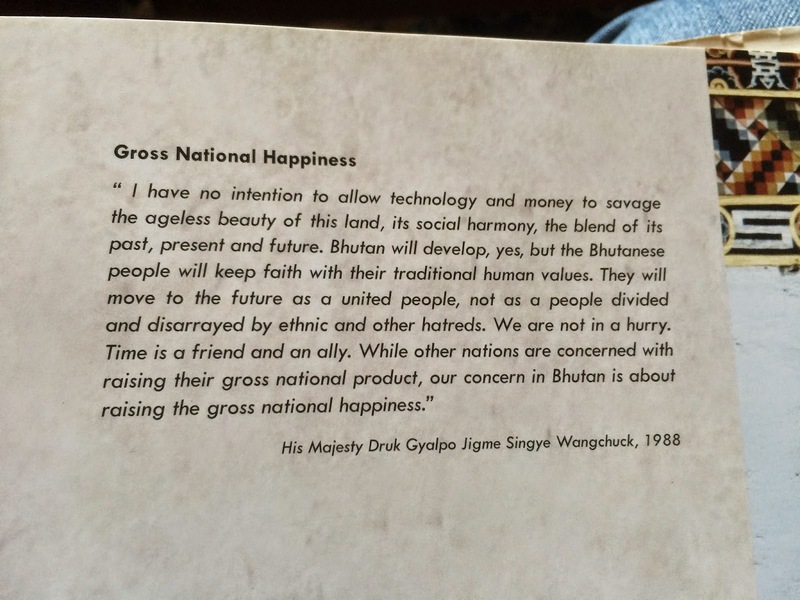 He announced the novel concept of Gross National Happiness. The world took notice of it, spoke about it for some time and then focussed on their GDP. This happiness that the king talks about is crucial. It was also a great learning for me to understand why Bhutanese are such a happy set of people. I have always wondered what happiness really means to me? When was the last time I was really happy ? Was it when I got my first car, when I got my first phone, my MacBook, my 32 inch flat screen? Or was it when when my Philosophy teacher praised me for writing a great paper in front of my class? When I held my first trophy? When I became a national champion? Almost always the emotional wins against the material. This the people in Bhutan seem to understand as a community not just as individuals. We mostly want things that we don’t really need. We need a bigger car, a bigger house, a bigger flat screen, just everything that is bigger and better. The problem with this really is that there is no end to it- our wants. If we live in a smaller house and drive a smaller car it still really solves the same purpose. This act of being minimalistic has really been mastered by the Bhutanese. Their secret to happiness really is that they want less and live more. 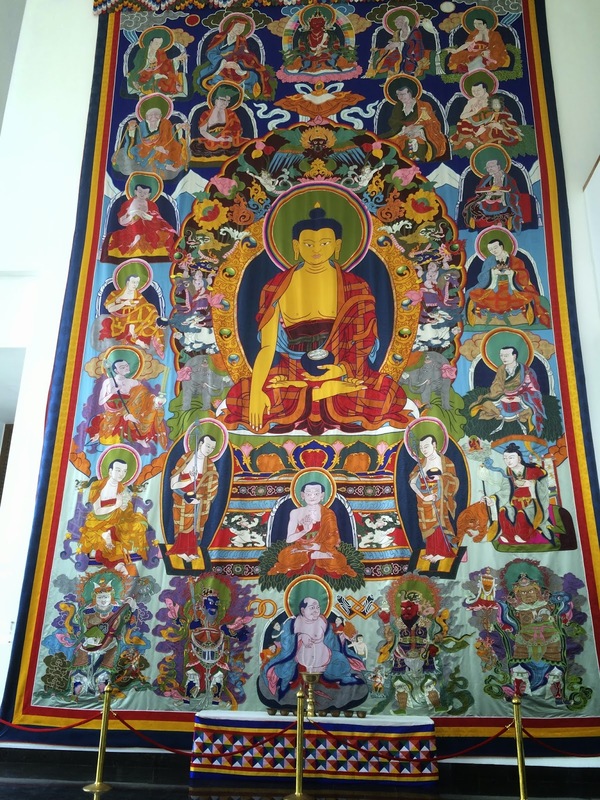 When I entered a local house in Bhutan I smiled to myself. My relatively much smaller house has a total of ten chairs, 3 tables, 3 beds, two T.V.s, two music systems and the list sort of keeps going. This house though much bigger than mine had absolutely nothing that was unnecessary. It had 5 rooms spread over the place. Out of which only two had beds. There were three chairs and one table in total and they just had a lot of mattresses. “If there are more people we all just sit down.” the owner told me. My initial justification to the less of things in the house initially was poverty. 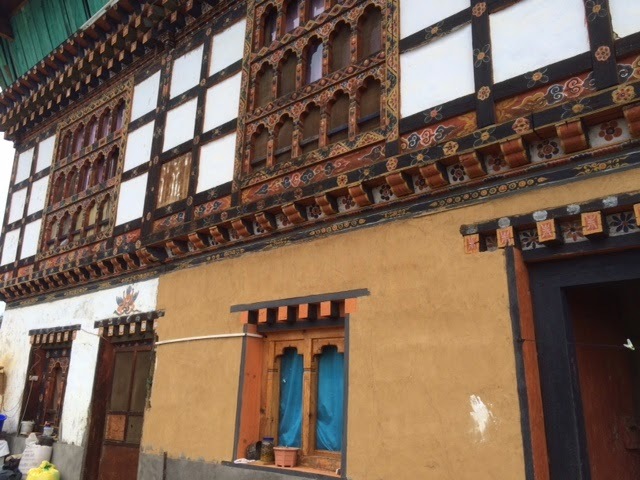 Though later in our conversation the owner of the house Dorjee told me that he owned the two mountains that I saw behind the house and also the hotel where I was staying in. (which was on one of these mountains). I looked at him with disbelief. He smiled at me and pulled me to show his most priced possession, his farm. His farm grew quite a lot of things. Red rice, potatoes, apples, oranges and spinach. “We eat what we sow. On a Sunday we give ourself a treat of some meat either pork or beef.” I asked him if it wasn’t against Buddhist tradition to kill animals. “It is! We don’t kill. We eat! Farak hain!” He said laughing. The meat and a major part of vegetables ,fruits, and almost all the grocery items are exported from India. 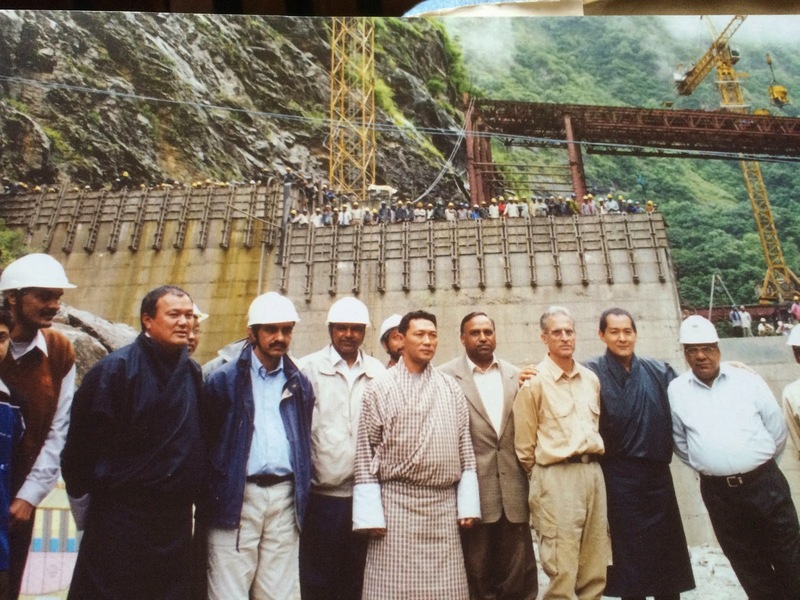 Bhutan has 10 hydro-electric plants out of which seven are in partnership with India. Almost 80 percent of our electricity comes from Bhutan. India has always had great political relationship with Bhutan, right from the times of Nehru and now Modi. India and Bhutan are inter-dependant in a lot ways. They provide us electricity and textile while we give them food,human work-force, electronics, liquor,medicine, etc. Bhutan is happy because of an extremely people centric government. Almost all their policies seem to exist only to help their citizens live tension-free lives. The Government of Bhutan provides for free and compulsory education for every child, rich or poor. They provide for free medical facilities and everybody in Bhutan is insured by the government. There is free electricity for the people living in the remote villages and nominal charges for the ones who live in the cities. If your bill is below 100 you don’t have to pay. If anything is not provided it is public transport. There are not too many buses, rail lines or taxis. People tend to walk to their schools, work and back home. My guide Indra walked for almost 28 kilometres a day to get to school and back. “We don’t mind. Look around who wouldn’t love to walk in this surrounding.” The government discourages the use of vehicles in every possible way. They charge a tax of almost 85% on the prices of the cars and bikes. This immediately makes owning a car just very costly. A lot of cars and tourist vans are imported from Japan. If Bhutanese need to travel from one district to another they trek, live in tents and are accompanied with their horses, or the less adventurous option of hiring a car is always open. All these measures ensure absolutely pollution free air. The best thing about Bhutan really is the education policy. Every district has a school. If a family doesn’t send their kid to school for more than a week the government sends officials to check up on them. If the child retains his marks to a certain level then he has the provision to choose a college of his choice outside Bhutan and the government takes care of all the expenses. I remember reading about a monk who had come down from Bhutan to study in Indian School of Business, Hyderabad. In return to this the government expects the student to come back to Bhutan after his studies and imply his knowledge in the betterment of the country. If the child doesn’t turn out too bright in education then he is sent to study in the fantastic textile and art schools of Bhutan. This ensures that every kid is well equipped in one way or the other and also that he remains self reliant. 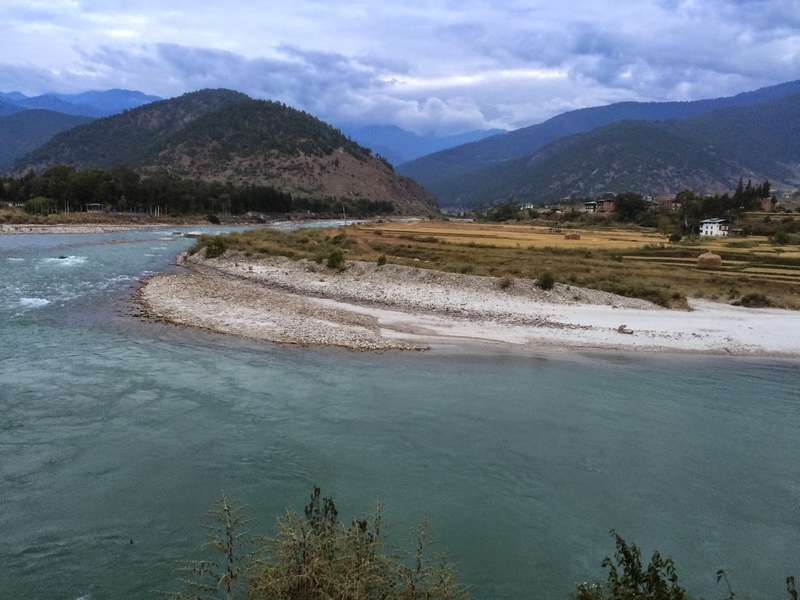 Punakha! If there is heaven on earth it is here! 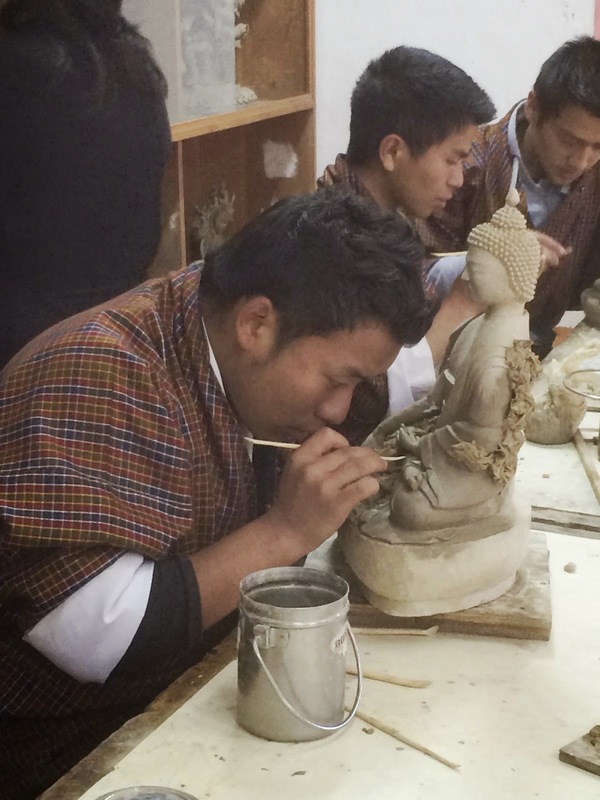 At the Art and handicraft school in Thimpu. Everything from sculpting, painting, textiles is taught here! It is unbelievable how skilled this people are! The BIG Buddha in Thimpu. 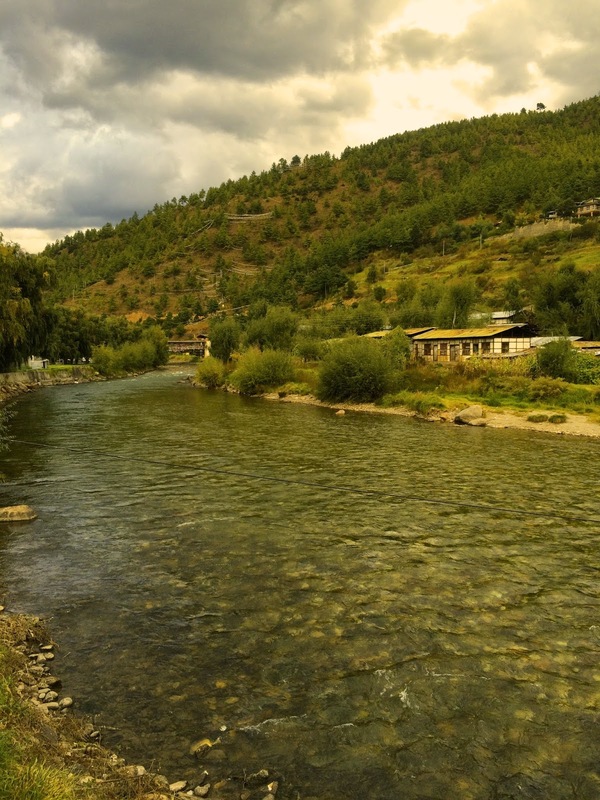 Bhutan is strongly connected to the nature. The reason for this solid connection is their religion, Buddhism. When Buddhists pray they pray for every living being and never for themselves. Nature is not a thing it is actually a living creature with a heart. That immediately makes them very conscious and sensitive towards it. Happiness is defined not by what good you do for yourself but for the people around you. Nature is involved in a simple thing like a incense stick to their herb medicine that they believe cures cancer. A simple incense stick is a complicated combination of 87 different medicinal plants and herbs. There are hundreds of different species of animals and birds and 15 different tribes living in Bhutan’s forests, absolutely untouched. Hunting and fishing are crimes and strictly prohibited. At the textile museum. Every bit on it is hand woven! 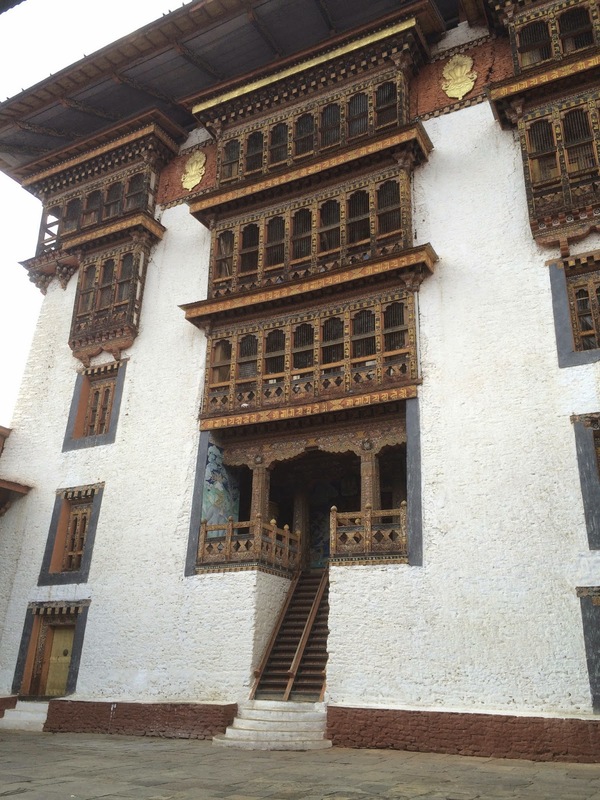 I was absolutely amazed at how uncorrupted Bhutan was with the so called globalisation. The government is almost paranoid of letting any kind of foreign culture influence Bhutan. That is quite visible in their stringent policies of granting visas and immigration. Foreign nationals are not allowed to stay for more than two weeks as tourists. If you apply for immigration for the third time it most likely would be rejected. A Bhutanese can’t get married to a person from foreign origin and reside in Bhutan. Every house in Bhutan has to be constructed in the traditional way. No kind of creativity in architecture is welcomed. Kira and Gho the traditional costume of Bhutan is compulsory for all the Government officials and students in schools and colleges. They are obsessed with uniformity and culture. 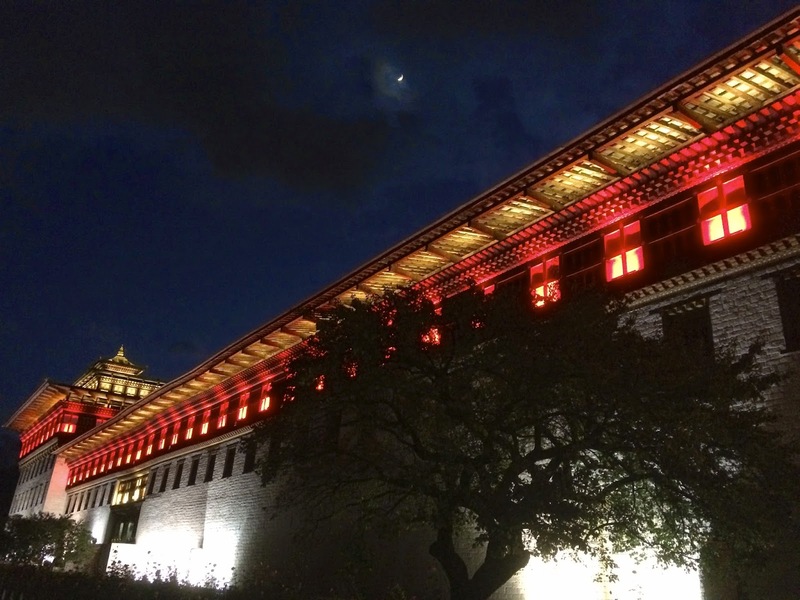 There are only total of two theatres in Bhutan, which tend to play films only in national languages. Saying this every housewife knows about most of the hindi serials running in India and Bhutanese love Bollywood. They find cricket really boring and are extremely passionate about football. 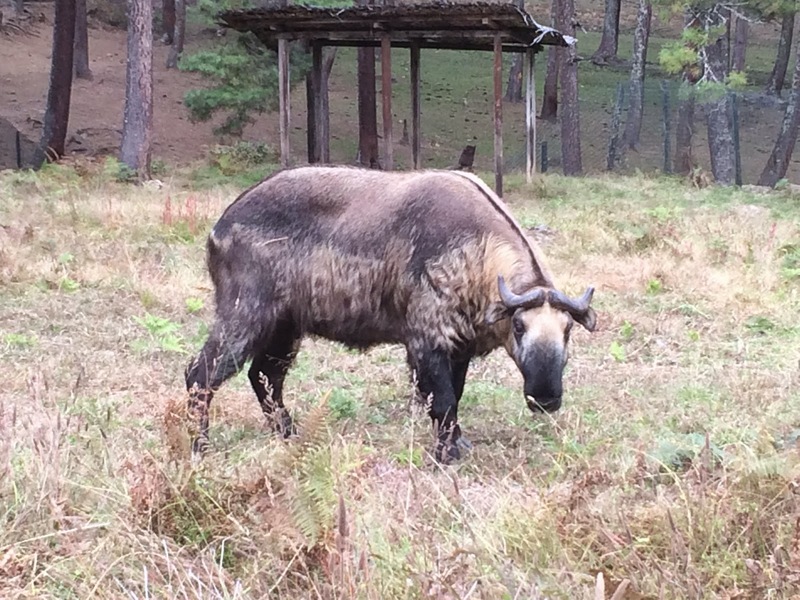 Bhutan’s national animal- Takin! It’s a confused breed a mix of a goat and a buffalo! 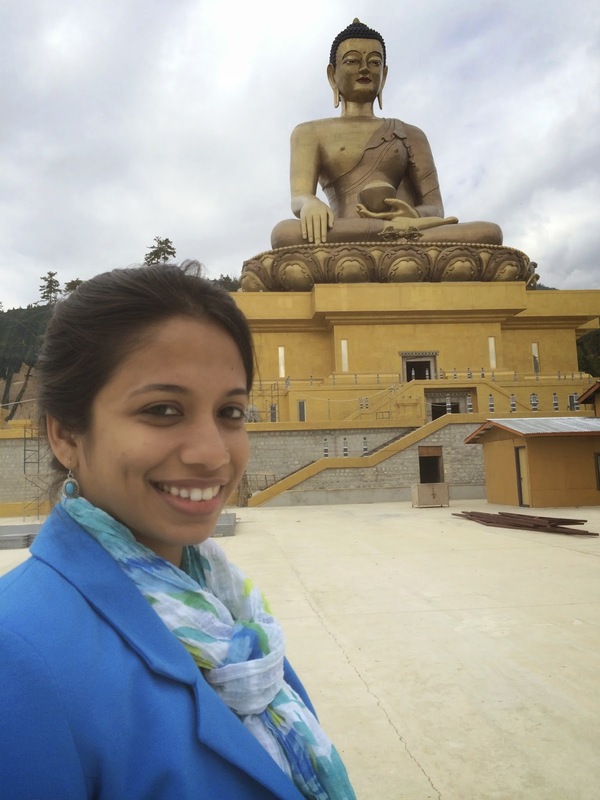 The super-cool men to turn monks in the Buddha Park. A typical setting inside a monastery in Bhutan.! It is just so hugeeeee…. 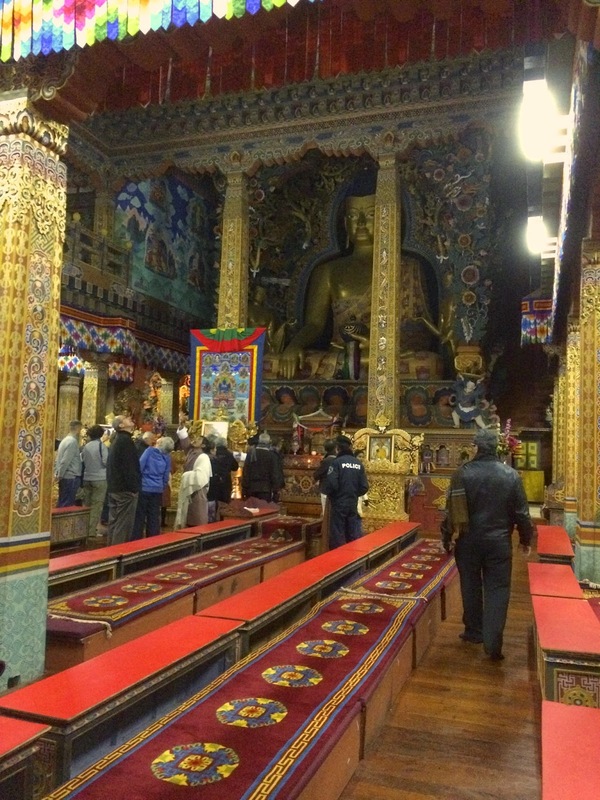 Inside a monastery in Paro. The orange tree behind me is believed to be very sacred. The oranges on this tree never fall down.They never turn bad they just always remain ripe and fresh, all year. On the last day as I sat in a bar in Thimpu sulking about the fact that I had to get back so soon. Indra(my guide) told me something that cheered me up. He told me that Bhutan may not encourage tourists to stay for too long but I have a service that I can provide to Bhutan. “Badminton!!! You can very easily approach the Government and get invited to come and train kids in Bhutan. The Government will provide for your stay and food. 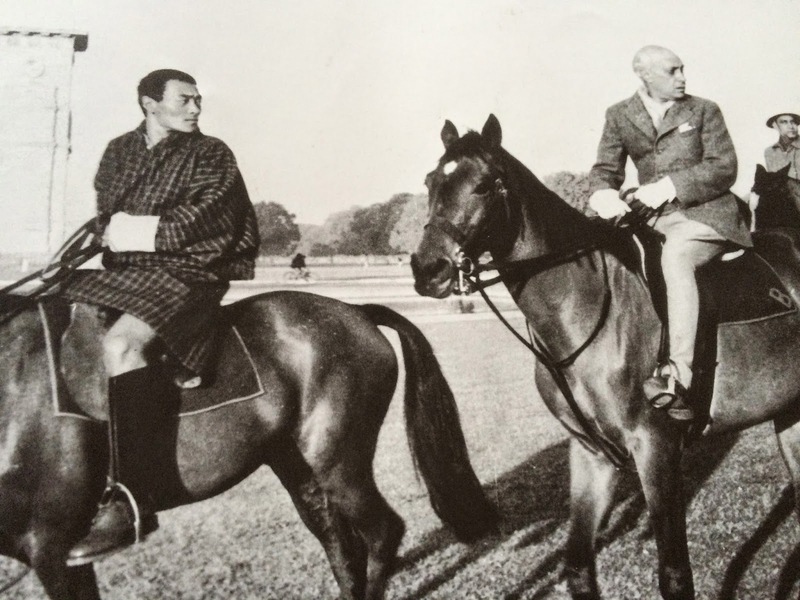 The King in Bhutan always keeps talking about getting Bhutanese kids involved in sports. See you have a chance to come and stay longer.” Indra gave me all his contact details and I promised to stay in touch. When I get tired of living in this concrete jungle that my beautiful country has become I know where I can go. Happiness is never really far far away. Not when you share the same border! Marriage , of a different kind!